I was fortunate enough to receive an eARC of this book, so thanks goes to BenBella Books for that. I loved the first installment in the series, and was eagerly anticipating Wiebe’s newest release. Once I got it in my hands, I immediately started devouring it. I received this book free from the publisher in exchange for an honest review. This does not affect my opinion of the book or the content of my review. Life and death, light and dark, spirit and flesh-on Wormwood Island, the lines are always blurred. For Anne Merchant, who has been thrust back into this eerily secretive world, crossing the line seems inevitable, inescapable, destined. I received this book as an ARC from NetGalley, but my main reason for requesting it was because the summary sounded like it was right up my alley. I love anything slightly paranormal and slightly spooky. Needless to say, I was not disappointed, and I proved that point by reading it in under 24 hours. So many secrets for such a small island. 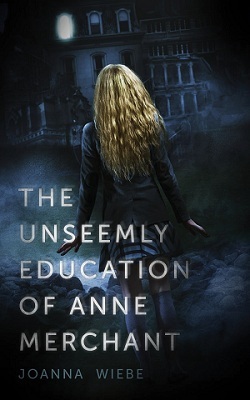 From the moment Anne Merchant arrives at Cania Christy, a boarding school for the world’s wealthiest teens, the hushed truths of this strange, unfamiliar land begin calling to her—sometimes as lulling drumbeats in the night, sometimes as piercing shrieks.